NYSC to partner JAMB, others to check false claims by corps members - Corpr! 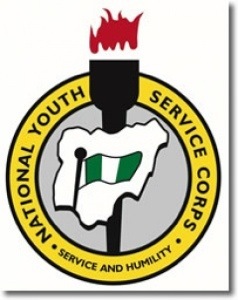 THE management of the National Youth Service Corps (NYSC) has said it was collaborating with the Joint Admission and Matriculation Board (JAMB) and Corps Producing Institutions (CPIs) in parts of the country to check all forms of fictitious claims among prospective corps members nationwide. The Director, Corps Mobilisation Department, NYSC, Mr Anthony Ani, stated this during an interactive session with newsmen in Minna, Niger State capital. He said the synergy between the management of the scheme and its counterpart, JAMB, including CPIs in Nigeria, will make it impossible for corps members to give false information with regards to their age and academic records. He stressed that such a collaborative step would provide far-reaching policy, decisions and indepth evaluations towards checkmating some of the problems confronting the scheme. “The ICT department of the NYSC, in collaboration with the Mobilisation Department, has designed a new data entry software which will be used by CPIs to collate the data of prospective corps members,” Ani maintained. He further disclosed that managers of the scheme were not happy that the incidences of fake corps members were still on the prowl at any given orientation, highlighting that with active collaboration of relevant agencies, synergy between JAMB and CPIs will give no room for further fakery. This is as a result of the realisation that most of the mistakes during mobilisation of prospective corps members are at the point of data entry, hence, the new software will assist in identifying mistakes, the director said. He, however, explained that in view of the short time-span between now and the commencement of the 2013 Batch ‘C’, submission of prospective corps members’ list by student affairs officers of the respective tertiary institutions that the software would be put into use with effect from the 2014 Batch ‘A’ mobilisation exercise. He added that for proper education of prospective corps members about procedures for participation in the scheme, there were plans by the directorate to carry out comprehensive briefing of students in all the 202 recognised federal, states and private CPIs across Nigeria, within its limited resources. Previous story My NYSC Story: The Good, The Bad & The Funny Things You’ll Find in an NYSC Camp!